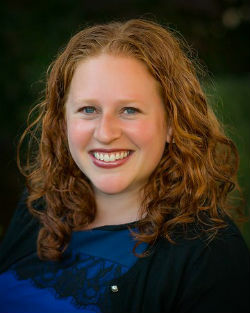 Rabbi Sara Mason-Barkin was ordained from Hebrew Union College-Jewish Institute of Religion in May, 2010, after receiving her Masters Degree in Jewish Education in 2008. Prior to her studies at the Hebrew Union College, Sara earned her Bachelors Degree from Brandeis University in Sociology and Judaic Studies. Rabbi Mason-Barkin began her career as an educator in a Jewish day school. While teaching, Sara discovered a passion for helping people of all ages find meaningful moments of Jewish connection in their own lives. This dedication to pursuing further work in the field of Jewish education led her to Jerusalem, where she began her rabbinical studies. Originally from Buffalo, New York, Rabbi Mason-Barkin has spent significant time in Chicago, Boston, Los Angeles, and San Francisco. Rabbi Mason-Barkin lives with her husband, Josh, and her two children, Charlie and Sela.